I’m very surprised and disappointed to have been told today by a Fat Face adviser (on help line no; 03301240000) that my gift voucher has expired and can no longer be redeemed. There is no indication of an expiry date on either the voucher card itself or the paper ‘top-up’ receipt showing the amount on the card, which I was also given. I have now read online that gift vouchers should not expire within 5yrs and that many companies are now discontinuing expiry dates altogether, e.g. National Book Tokens. 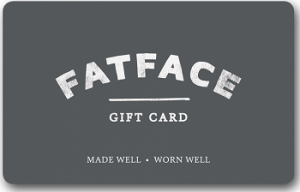 Given the status of Fat Face in the retail industry I, and clearly others, feel that your company should be setting a example and discontinuing this unfair practice which is leading to considerable ill-feeling. It certainly puts me off spending my money at Fat Face in the future.